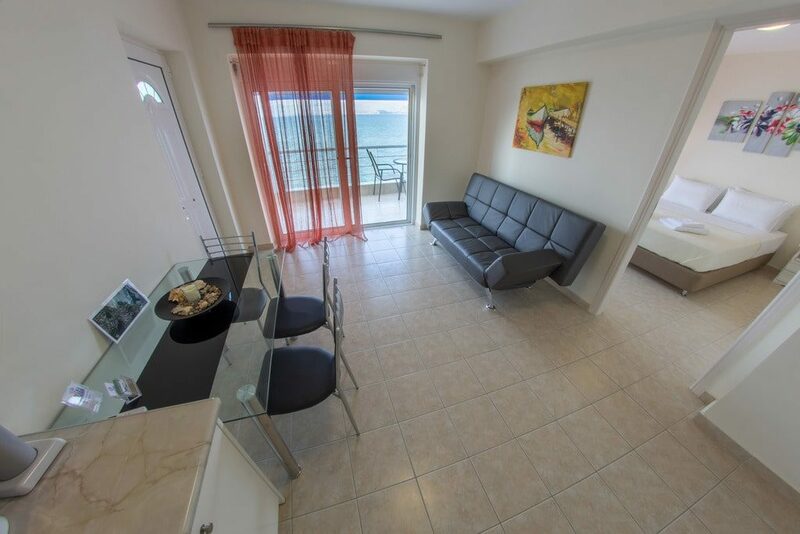 Grape Tree Apartment situated on the first floor of Kiveri Apartments building. The living room offers a comfortable stay with sofa bed (185×116) and table. 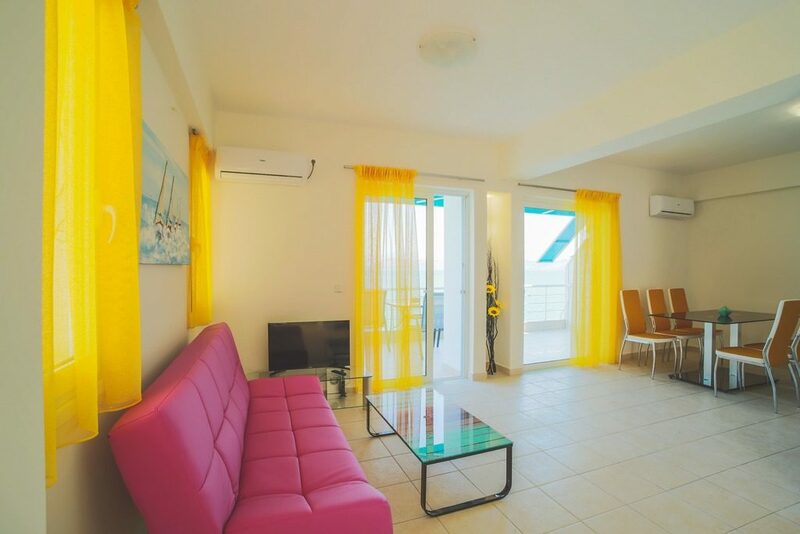 In the same area you can enjoy cooking at a fully equipped kitchen with family fridge, stove, electrical oven, microwave oven and cabinets. 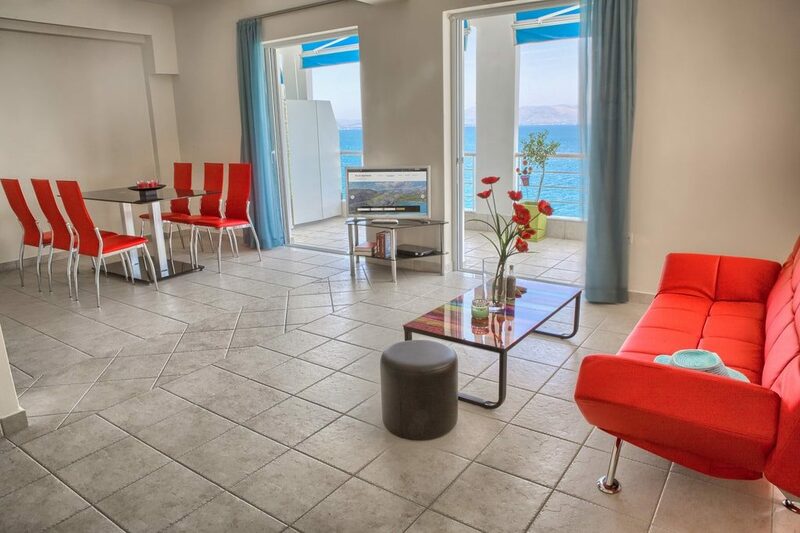 On the private balcony you can find table with chairs where you can comfortably enjoy the sea view. 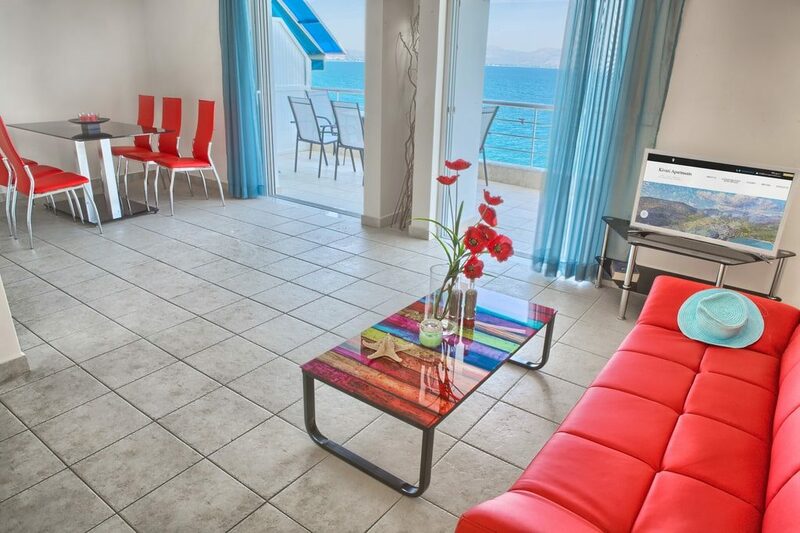 Apartment is air conditioned, overlooking the Argolis gulf with access to the balcony. However, all windows and doors have insect screens.